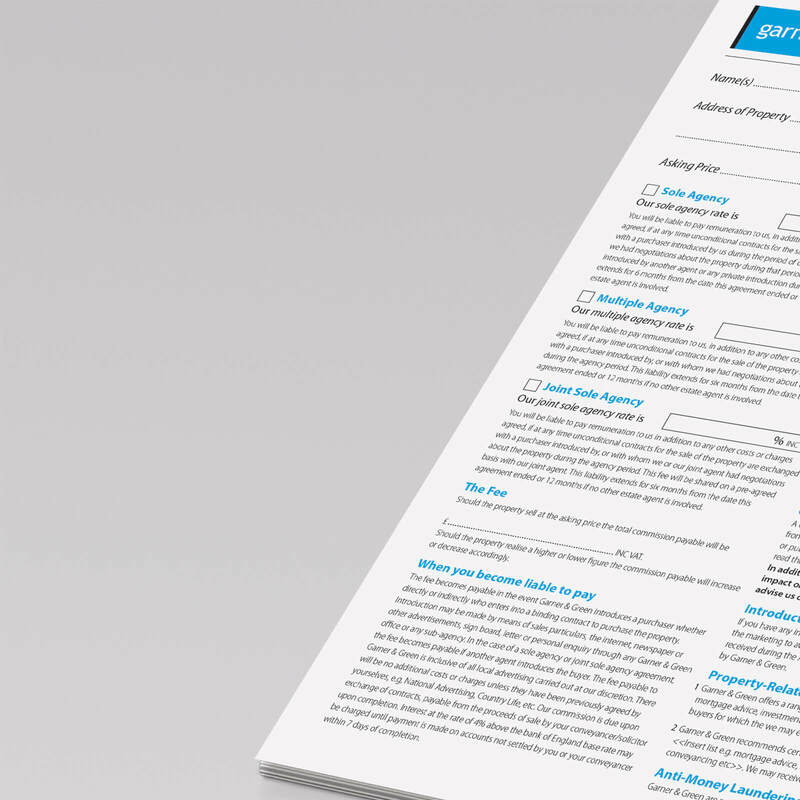 NCR (no carbon required) Estate agents agreement template provides a convenient solution to documenting duplicate copies of your signed estate agency agreements with clients. 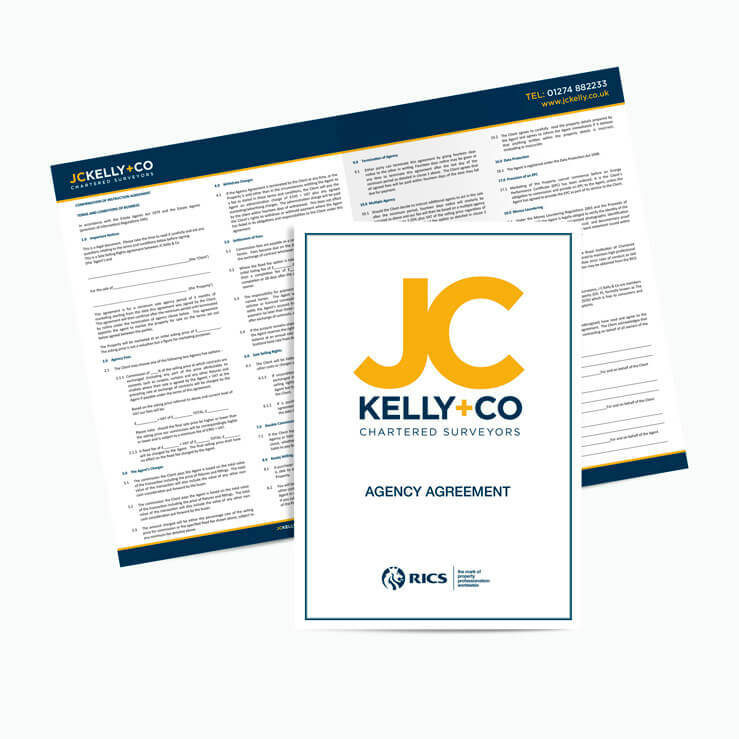 High quality estate agency agreements add to a professional presentation and protect your business interests to help ensure you are paid when the job has been done. 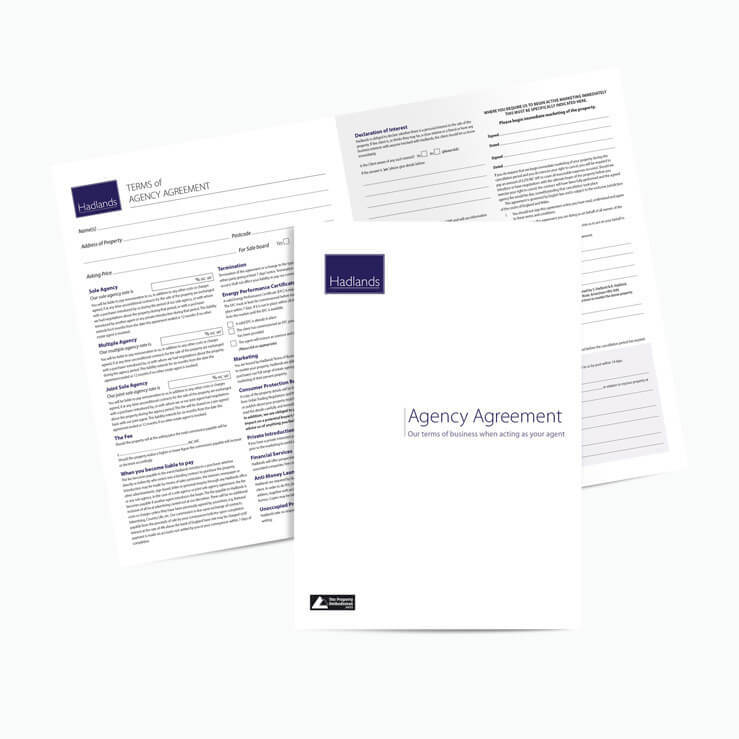 You can supply your own legal text and we will typeset the document, or you can ask us to adapt one of our estate agency agreement templates for you. Everything is editable, add, delete, amend whatever your want. 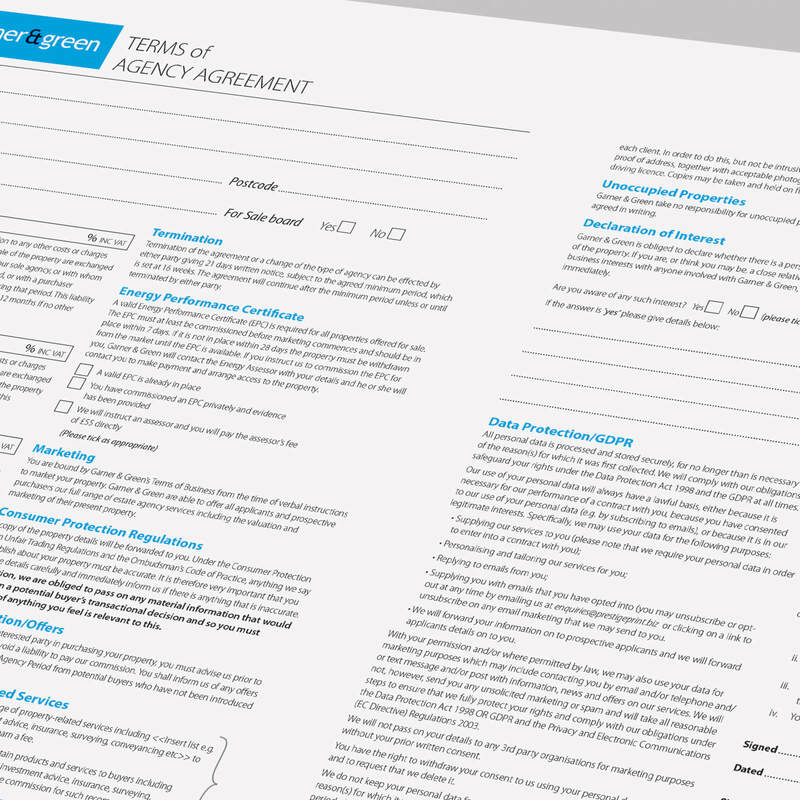 Our template agreements cover Sole Agency, Multiple Agency and Joint Sole Agency agreements. 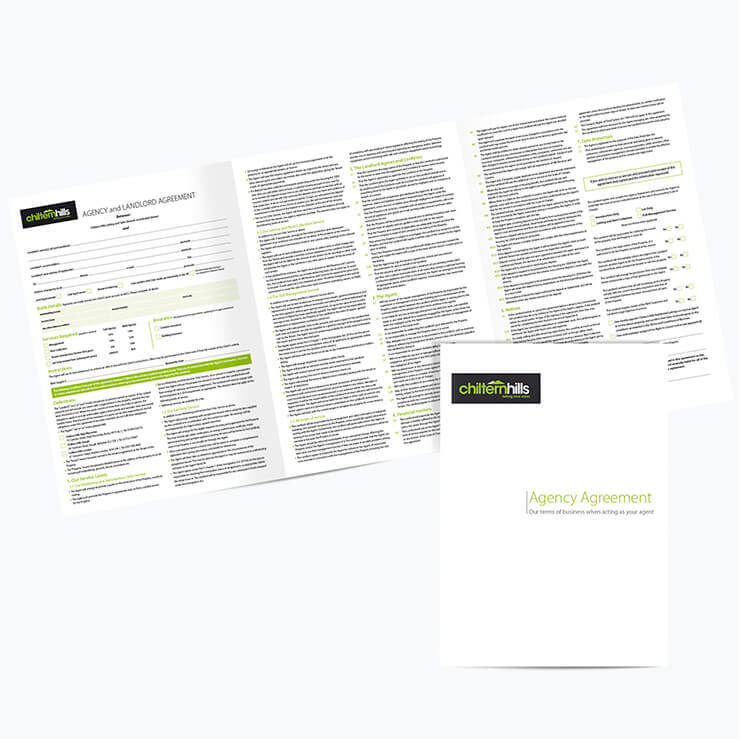 Most clients like to take advantage of the ability to amend agreement details to suit their own business. 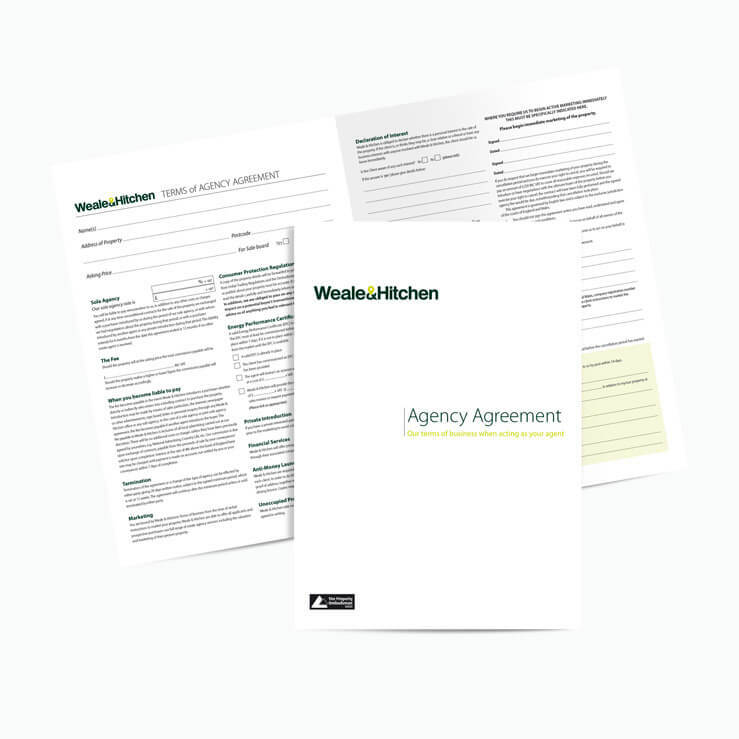 While great care has be taken in preparing and checking the agency templates we do not take responsibility for the content. 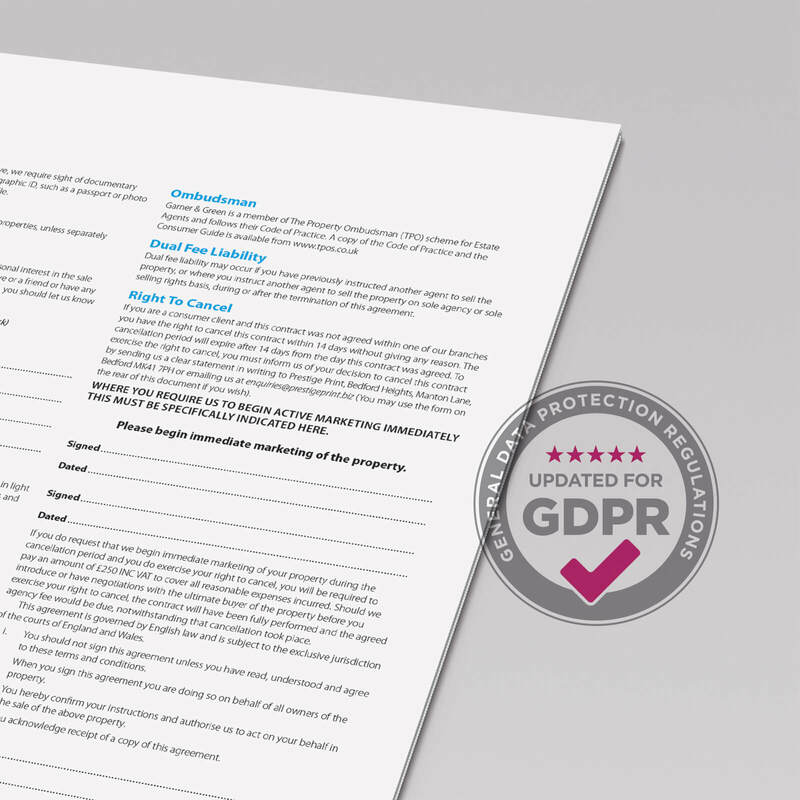 It is YOUR responsibility to ensure the the content forms a suitable legal agreement for your business and if you have any doubts as to its suitability you should take independent legal advice. 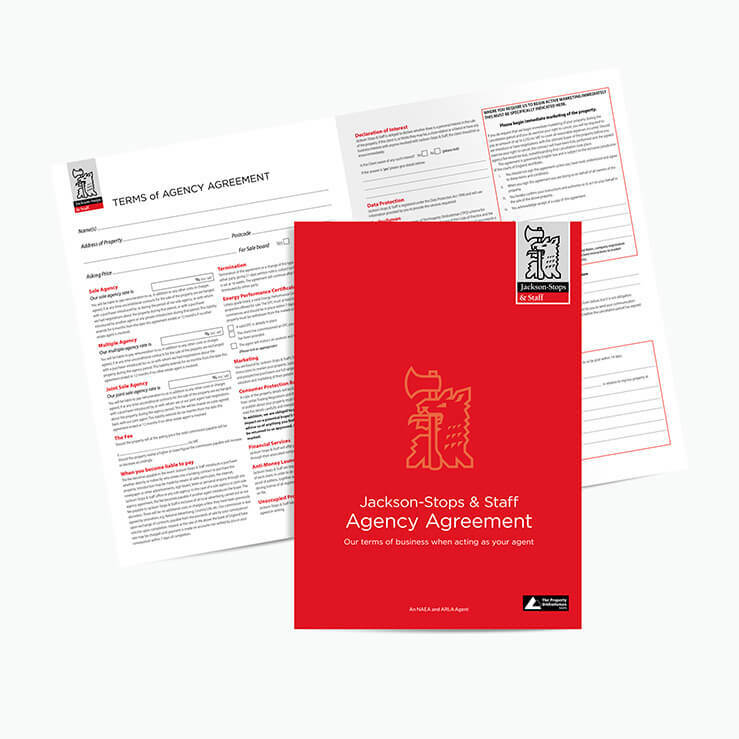 Our standard sales agreement is an A3 NCR, 2 part set. Printed 4 colour process both sides. 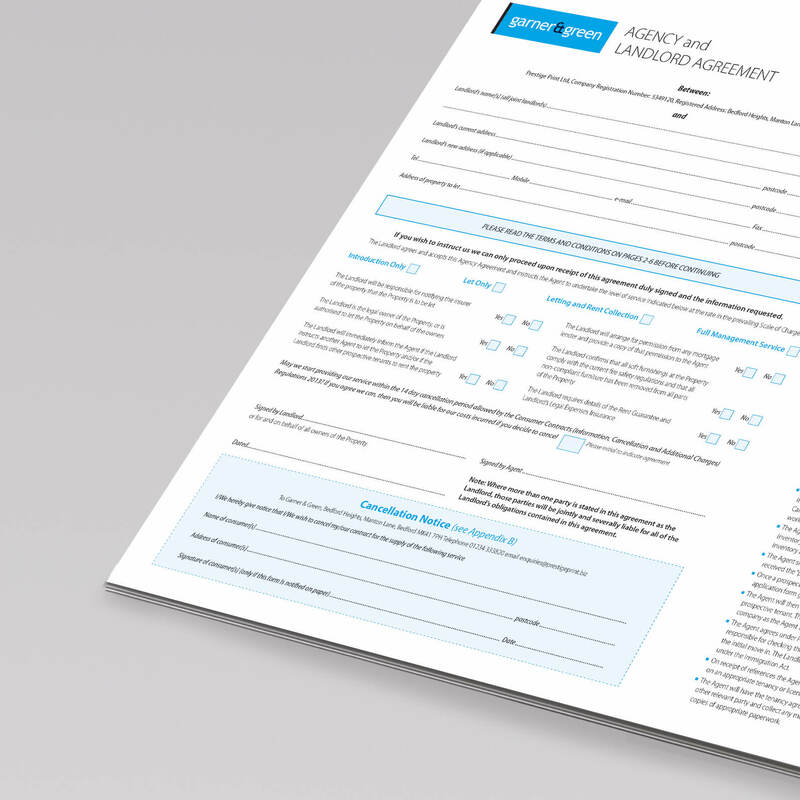 They duplicate on one side and are designed to fold into a convenient 4 page A4. 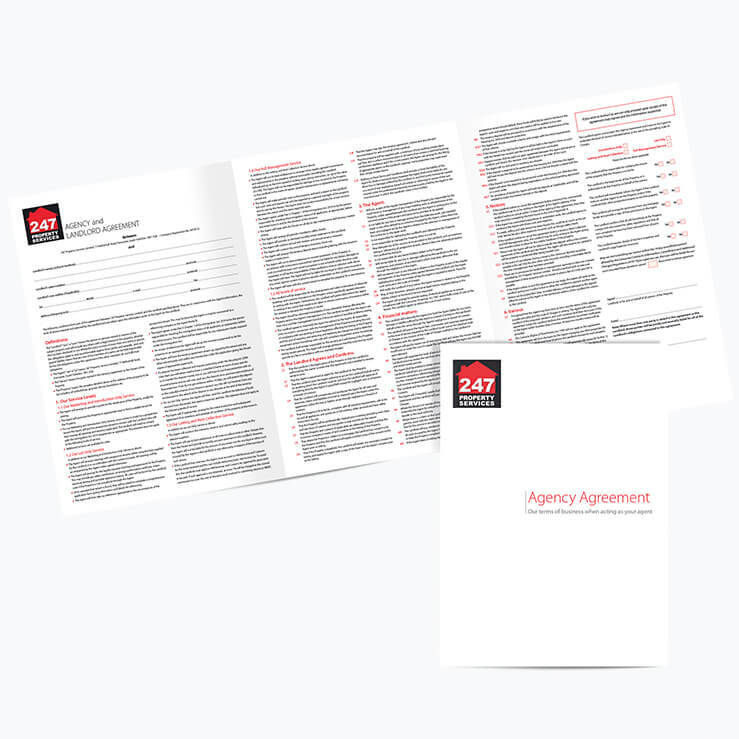 Due to the content of lettings agreements these templates require a larger format than the sales agreement, creating a 6 page A4-sized document when folded. Printed 4 colour process both sides with 3 pages to view, these are 2 part NCR sets, the top sheet duplicating onto the bottom one. 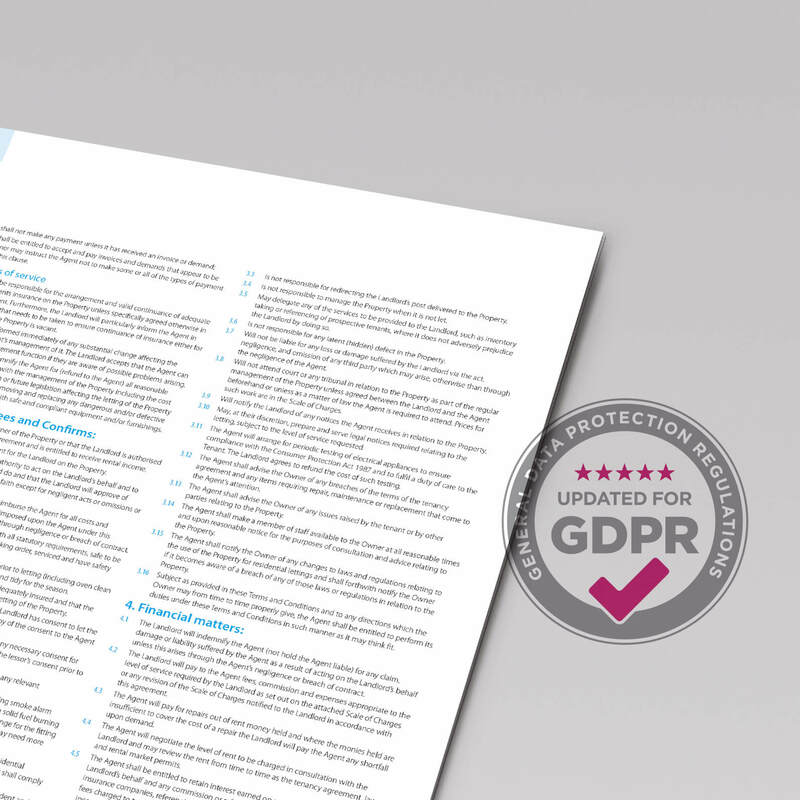 All the content is editable, add, delete, amend and change whatever you like so it suits your business. 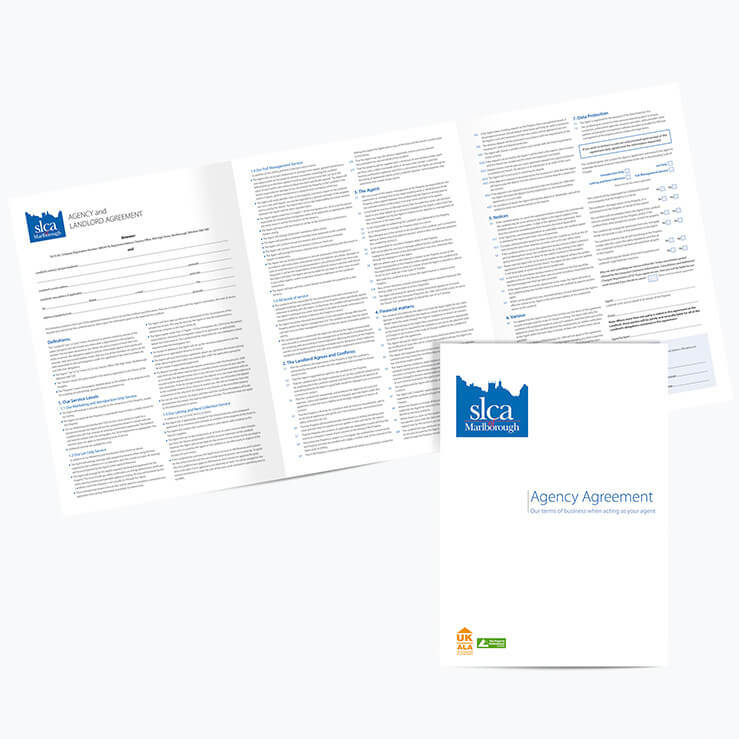 6 page letting agency agreement, flat size 630mm x 297mm NCR 2-part set. Printed 4 colour process both sides. 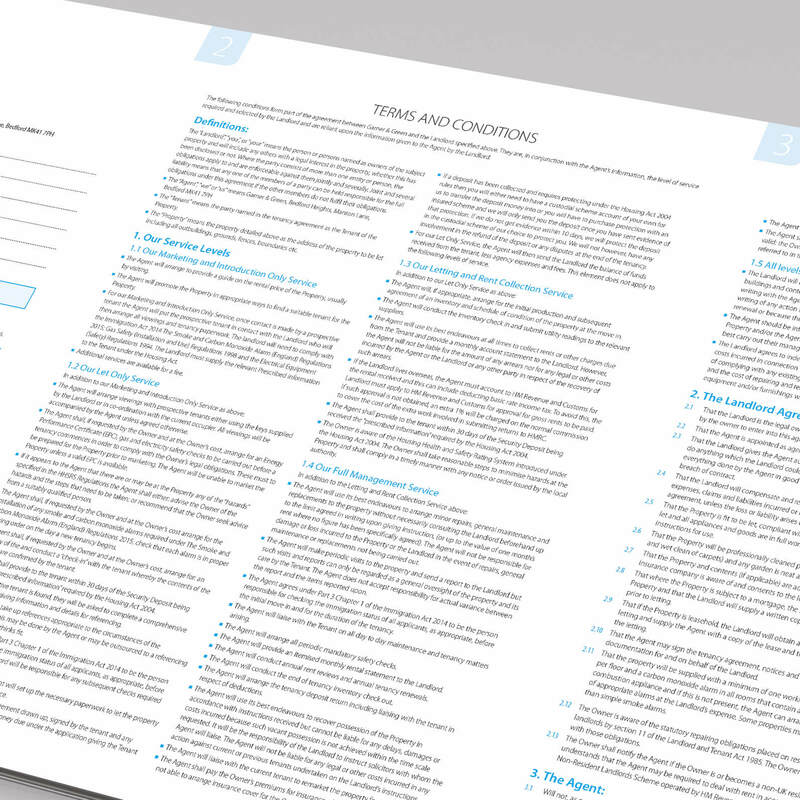 They duplicate on one side and is designed to fold into a convenient 6 page A4. 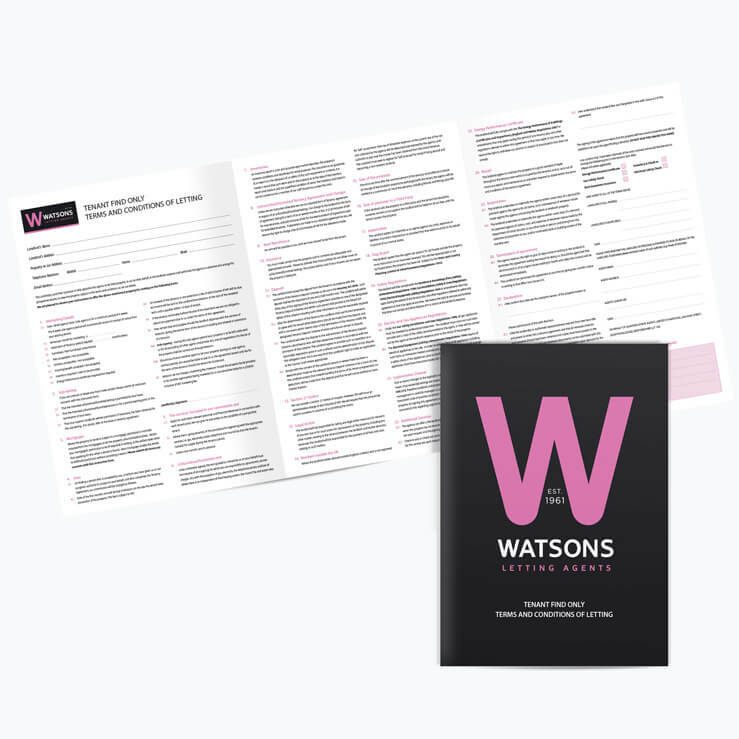 Cost £690 + VAT for 500.